The starting-point for the group is to take the captivating and distinctive melodies of the traditional Bulgarian folk music and arrange them in a unique way for tamboura, sitar, tablas, saxophone, clarinet, euphonium and voice. The odd meters, the open improvisations, the daring arrangements and not the least the unusual combination of instruments give the band its unique sound. Lele Lele was formed the autumn of 2003 in Stockholm. Mihail Dintchev, born and raised in Bulgaria plays the tamboura and sings. He has studied the traditional folk music of Bulgaria a long time. Moa Danielson (tablas) and Stian Grimstad (sitar and tuba) have both studied for masters of Indian classical music in northern India for many years. Josef Danielson (voice and guitar) has his musical background in rock and reggae and Björn Dahlberg ( saxophones and clarinet ) has many years of experience as a jazz musician in Sweden, Europe and USA. 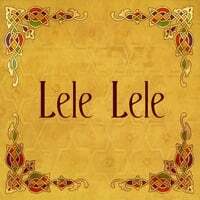 Lele Lele has played all around Sweden in small and big venues, such as UmeFolk, the Royal College of Music in Stockholm, Fasching and Skogsnäs Kulturhus. In August/September 2004 Lele Lele went for a tour in Bulgaria where they performed in the Bansko International Jazz Festival, Koprivshtitza National Folk Festival, Radnevo International Folklore Festival and others and got major attention in national TV and press.In June 2006 Lele Lele did a second tour of Bulgaria where they won a gold medal at Albena Folk Music Festival and performed together with Theodosii Spassov. Lele Lele enjoys working with guest artists and has collaborated with both harpists, violinists, bamboo flute-players and flamenco dancers. RadioIndy created a CD Announcement Press Release for on Digg.com! "Lele Lele" Reviewed by RadioIndy.com! The self-titled collection by Lele Lele is an upbeat, energetic, and diverse collection of world tunes. Utilizing the heavenly sounds of the acoustic guitar and many native instruments, Lele Lele devises fluid, free-spirited tunes that are sure to leave lasting impressions. "En Magisk Hatt" starts things off right, wasting no time in acquainting listeners to the wide array of traditional instruments Lele Lele strategically orchestrates, as well as the vibrant and unique vocal performances. Taking on Middle-Eastern flair, "Zima" carries on the danceable mood of the CD while displaying some very memorable musical hooks. Furthermore, "Cogs & Gears" slows down the pace a bit while revealing a more emotional appeal to listeners. Superb production tops this assembly off, making it a prime choice for fans of world compositions. Balkan/Indian world fusion. Bulgarian folk music in a wild and crazy mix with Indian classical music and jazz. Bulgarian tamboura, sitar, tablas, clarinet, sax and vocals sung in bulgarian, swedish, english and Indian saregam.